Thought I'd post a little update about how #30DaysOfBiking is going so far. It's not a contest, nor is there a minimum distance required to participate. However, I'll include approximate kilometres ridden each day to give you a sense of how close by most things are. 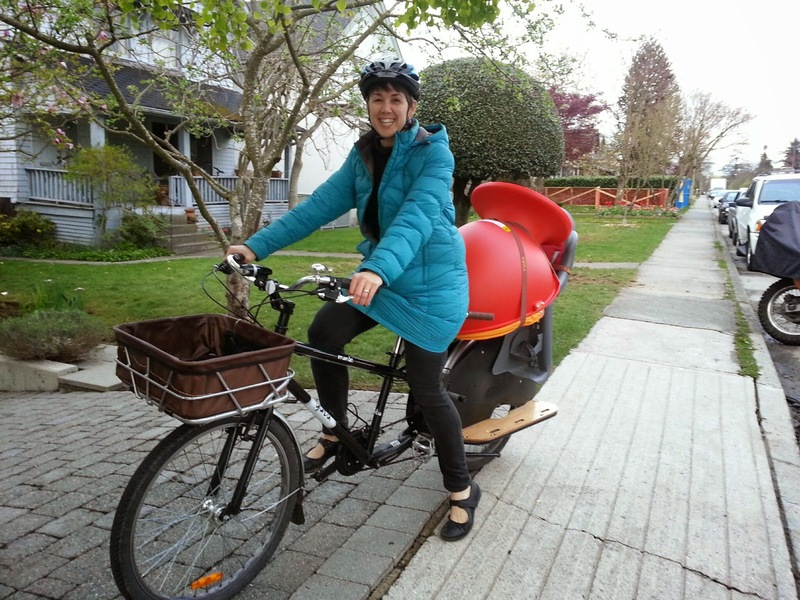 Running errands & doing social things by bike is really doable for most people who live in a city like Vancouver. You don't necessarily have to bike 600km a month like Oliver does to make an impact on your health or your carbon footprint. I started #30DaysOfBiking off with our usual trip back & forth to pick up L at preschool, except that he went to a friend's for the afternoon & they dropped him off at home, so I didn't even ride back to pick him up (2km). Thursday we biked with the kids in their pyjamas down to pick up his helmet that he left at preschool. Back home again for breakfast & to get them dressed, then we rode to the Family Centre, which is actually only a couple blocks from home. But my hip has been bugging me lately, so riding is way more comfortable than walking. I also found a chair I've been wanting for Linnaeus on Craigslist, so I biked to pick that up too (8km). Easter long weekend gave us lots of time to ride. 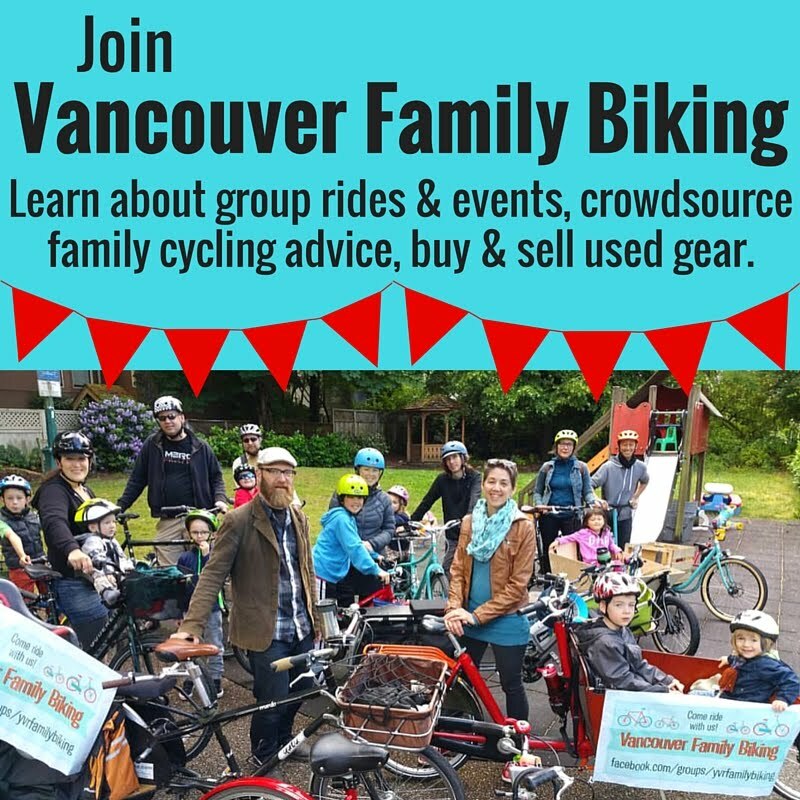 Good Friday I did a small Costco run (8km), then Saturday we ride quite a bit with Vancouver Family Biking group on the Easter Bonnet Ride (26km). It was so much fun & we were able to loan a bike & a trailer so our friends could come too. 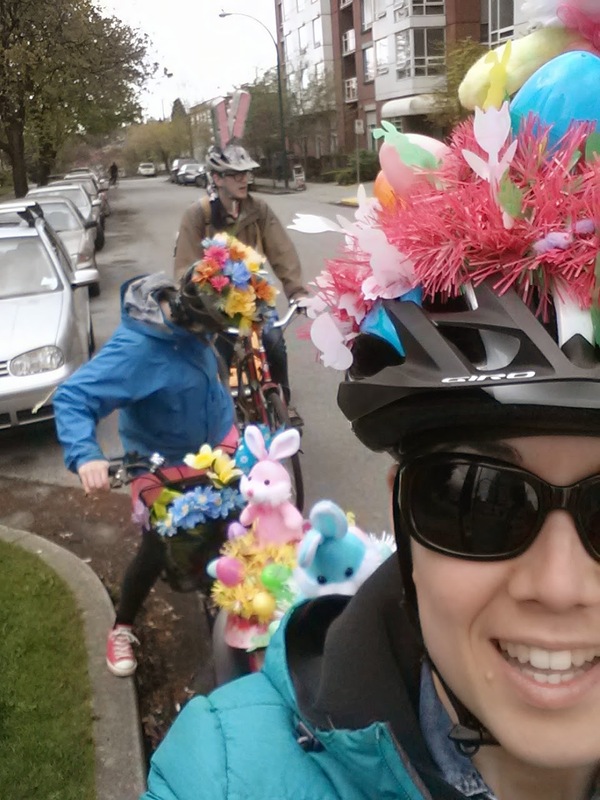 If you want to read more about it & see more photos, I wrote a recap here: #YVRFamilyBiking Easter Bonnet Ride. Sunday the weather was even better than Saturday, so we rode down to the Olympic Village to run a few errands. First of which was dropping off some broken small appliances & batteries for recycling at London Drugs (more on that on GreenDeal.ca--you can recycle a LOT of things there next time you go!). Next we picked up some live plants for our aquarium (8km). Easter Monday I just got in a quick ride to a park a few blocks from home (2km). 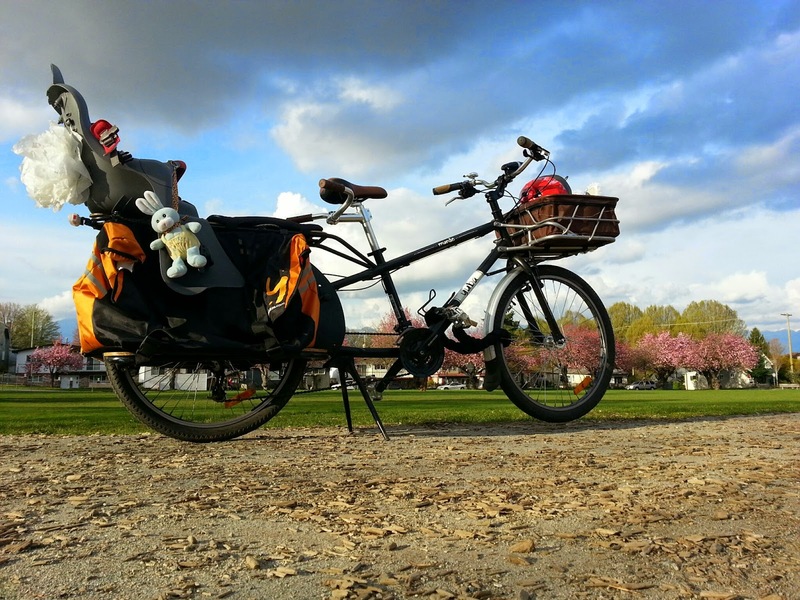 The sky was incredible & the cherry trees all along the street were blooming, so I just had to take some photos of my bike. How could I not, right? Wednesday Bronte & I dropped Linnaeus off at preschool & headed downtown to run a couple errands & do a little shopping (more plants!). 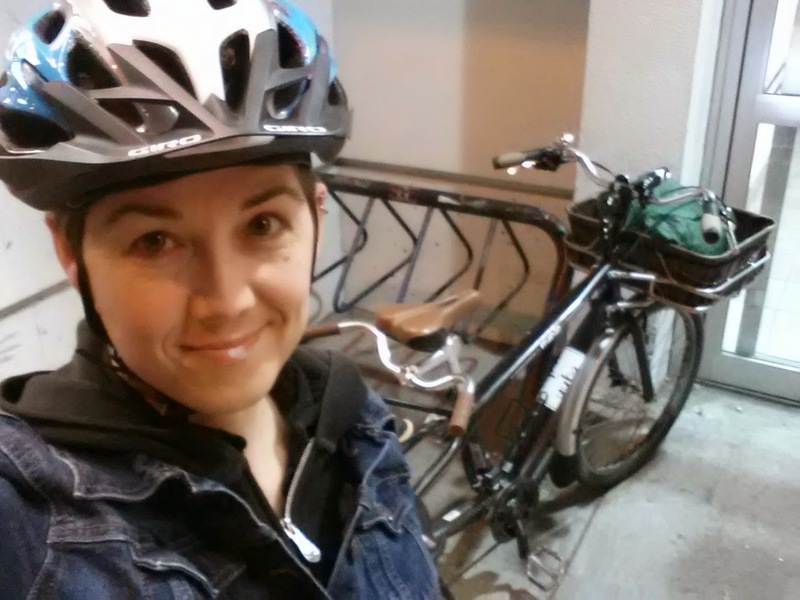 Later that evening I biked to my second Active Transportation Policy Council meeting (16km). Today we haven't biked anywhere yet--I'll likely bike the kids to a park after B's nap. 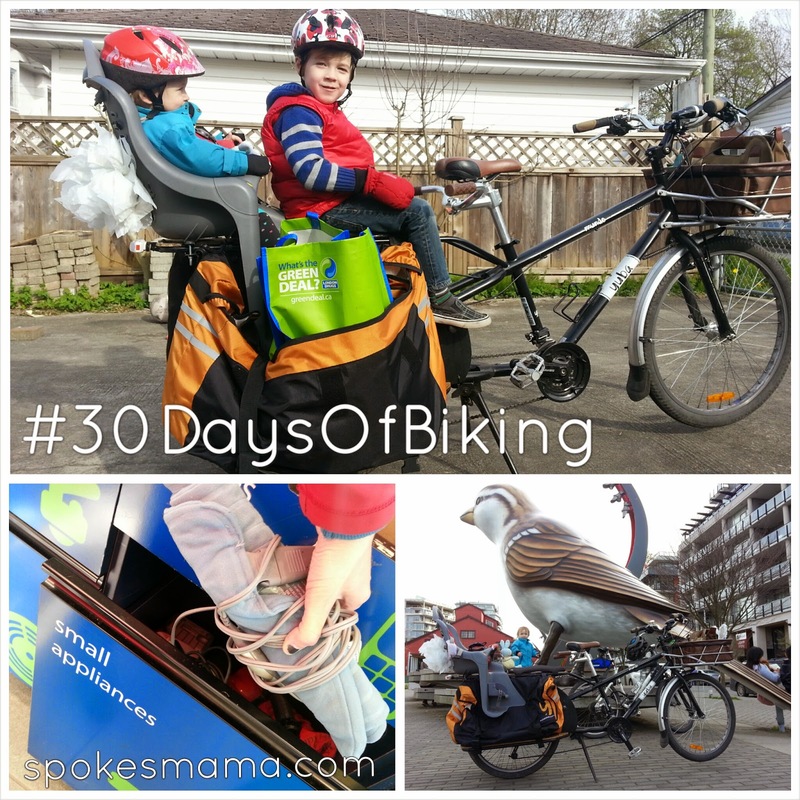 How is #30DaysOfBiking going for you? Or if you're not participating this year, where did you ride last?